I’m too tired to write creatively today, but it is important that I let people know how I am after my blood clot scare. I just thought this was a case of my sock being too tight, but after calling a Community Nurse to seek reassurance I was warned that this could in fact be a blood clot. I suddenly started to panic. My main concern was making sure I would be able to attend a crucial meeting for the #SaveWILG Campaign that we have lined up for Tuesday [12th of February]. The doctor insisted that I needed to go because if it was a clot it could have travelled to my lung. Suitably scared I spent my Saturday evening playing I Spy in A&E reception. This was good fun for the first couple of hours but as we entered our fifth hour of waiting I had lost the will to live. I had entered the hospital at 19.30 and I was being hoisted into bed at 03.00. The doctor finally examined me at 02.15 and then said there would be a further wait for the results of my latest blood test. I politely told him that I was unable to wait any longer and was going home to bed. I made sure that he had plenty of contact numbers for me and my family and wished him a good night. [TO BE CLEAR, I AM NOT HAVING A GO AT ANY OF THE NHS STAFF THAT WERE ON DUTY. AS ALWAYS THIS DEDICATED TEAM OF PROFESSIONALS WERE EXTREMELY HELPFUL IN THE FACE OF UNRELENTING PRESSURE AND STRETCHED RESOURCES]. After a solid 6 hours sleep, my PA phoned the hospital to try to discover the results of my blood test. She was given short shrift and told that it was highly unlikely that a doctor would promise to give out test results over the telephone. I was looking at a return to A&E as my leg had swollen yet again, as can be seen in the pictures above. After a morning of worry, I decided to phone A&E again myself. This time I spoke to another member of staff who had no problem in telling me that the blood test had come back negative. He reassured me that the test was 99% reliable. I will still visit my GP in the morning as a matter of urgency. I need to have my circulation assessed and find out what exactly has been causing the swelling if it is not a clot. I will ask for the Occupational Therapist to be alerted to the problem in the hope that they might recommend something to stop this happening again. This is just another piece of valuable evidence that shows that I cannot cope without 24/7 support in my own home. 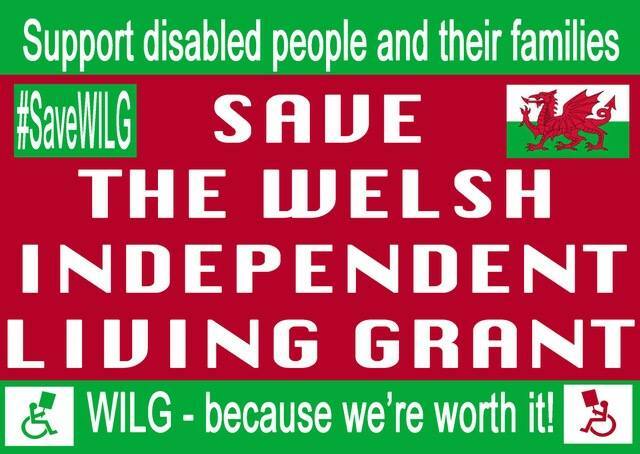 I know it, you know it, the Welsh Government know it, but Wrexham County Borough Council continue to bury their heads in the sand and deny me my human right to independent living. 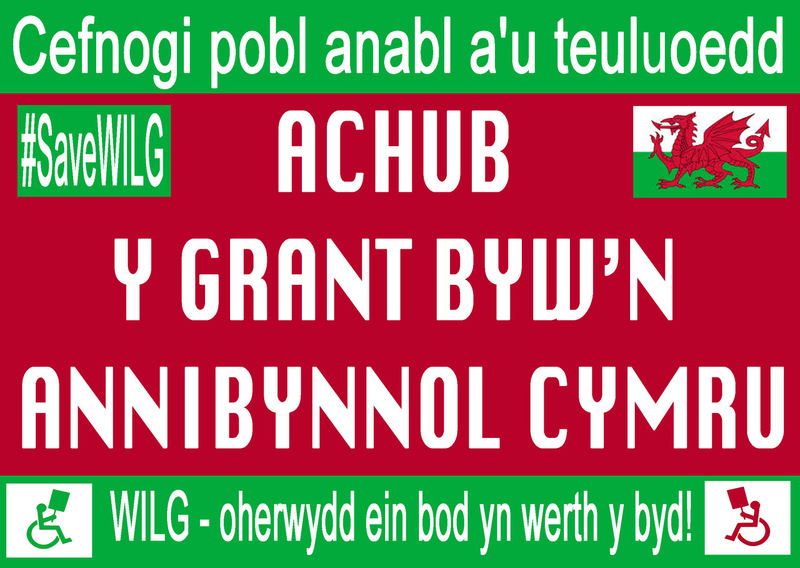 I will continue to fight against the scrapping of the Welsh Independent Living Grant by the Welsh Government and carry on my crusade to achieve justice for all disabled people with high care and support needs across Wales. 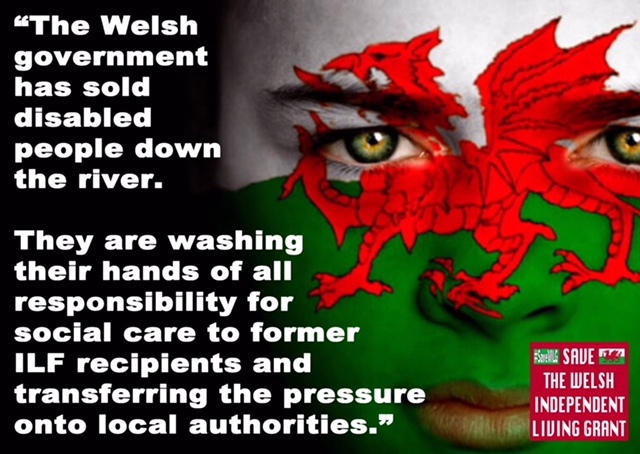 I don’t want to have to write the following, but it needs saying as Wrexham Council and the Welsh Government are failing in their duties of care to disabled residents such as myself. I am not continuing to struggle while local councillors vote to give themselves a pay rise and Government officials just will not listen to reason. Yesterday, was an average day which began productively thanks to the help of my Personal Assistant. I visited the supermarket to replenish empty cupboards and powered through some housework and admin. Unfortunately, my PA is only contracted until 14:00 and I am alone all afternoon until a second PA returns at 19:00. This used to suit me fine as I had full use of my hands, but living with a progressive disability such as Friedrich’s Ataxia means that I am having to consider changes to my deteriorating body and the need for more support. Believe me, this is not something that I want to have to accept, but I just cant function on my own without the help of another human being. Extra care is something that I NEED. Yesterday afternoon, I was drinking water while watching Final Score on television. After finishing a bottle I thought I had better go to powder my nose before the urge really hit me. I was being responsible. Unfortunately, once I got to the bathroom my dexterity failed me and I was unable to produce my crown jewels from my boxer shorts in time. Fast forward five minutes and I was sitting in a freezing cold pair of sodden jeans with tears of frustration and exasperation running down my face. My only option was to call my 67- year old father who came to help. By the time he had helped me to sort everything out it was 18.00 and a relaxing afternoon, after a busy week, had disappeared. The rest of the evening was spent in agony as my Dad had to remove my wheelchair cushion cover to give it a good wash. This is a padded cushion cover so I was forced to sit on an uncomfortable surface for the rest of the evening. It was a relief to get into bed. However, at 03.30 I woke again in discomfort. I have been going attending a Podiatry clinic at Wrexham Maelor hospital. Last week the Podiatrist discovered an ulcer on the side of my left foot by my little toe. She dressed it and it has been fine all week but last night it was really causing me a lot of pain and I could not move my foot into a more suitable position. I did not want to bother my dad again but in the end I had no option but to text him. He did not receive the text until a lot later after I had been in agony for 2 hours. If I was able to have the 24 hour care that disabled people with high care and support needs deserve then I would not have had the humiliation of having to write this. With adequate support I would have had the assistance needed to avoid an accident and been able to move my foot into a more comfortable position. It seems that Wrexham Council and the Welsh Government see me as something of a nuisance. They have clearly got their priorities all wrong as they are putting profit and greed before people. The bad news for them is that I am not planning on going anywhere soon and they have legal responsibilities that I will ensure they meet with me and other disabled people in the Wrexham area and beyond. Things have got to change and I will make sure that I will do what I can to force these changes in the time I have left before I am consumed by life with Ataxia.